James is the holder of an honours degree in analytical science from DCU and a higher diploma from DBS. He has worked in the medical device and pharmaceutical industries here in Ireland and in Australia. 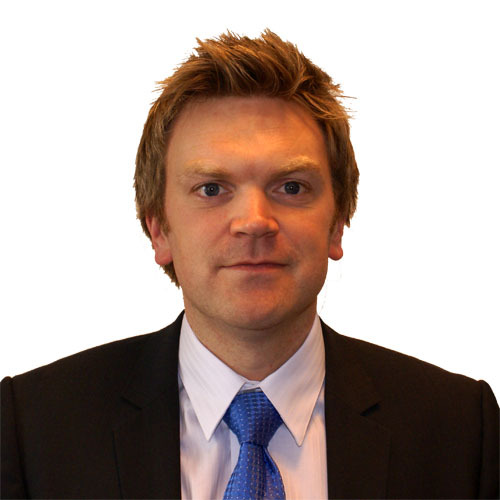 James has also a number of years experience in the recruitment sector in Ireland. Outside of work, his interests include Gaelic Football, Soccer and Rugby. Sinéad holds a BSc(Hons) in Neuroscience from UCC and a Masters in Neuroscience from Trinity College Dublin. Sinéad also spent 2 years in academia carrying out research in the field of Bionanotechnolgy and the development of Point-of-Care devices. As Sinéad has spent a number of years in the Scientific Arena she has an excellent understanding of the needs of her clients and her candidates. Outside of work Sinéads interests include athletics with her club United Striders AC, tag rugby, cycling, adventure racing and is a self-confessed music lover. Paula O’Reilly leads the Life Science Procurement division. Operating on a global basis, identifying top procurement talent for clients across the Life Science sector. 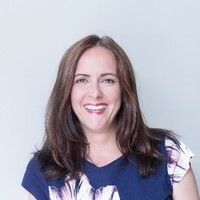 With a thorough understanding of the dynamics of procurement, Paula understands not only the technical requirements for the role but the interpersonal and cultural fit needed to guarantee that the right person joins the right organisation; ensuring that both the candidate and client are delighted with the end result. Typical Roles include, CPO, Procurement Director, Head of Strategic Sourcing, Head of Category Management, Head of SRM & 3rd Party Risk, Procurement Manager, Category/Commodity Manager ,Strategic Sourcing Manager,Category Lead and Supplier Relationship Manager. Karen holds a BSc(Hons) & PhD in Molecular Biology awarded by NUI Maynooth. Having a strong scientific background gives her an in-depth understanding of her clients requirements. She has extensive experience in recruitment within the Healthcare, Medical Device, Regulatory, Diagnostics, Pharmaceutical, Biotechnology, Clinical Research & Food sectors. Karens main focus is building strong working relationships with both her clients and job seekers. Outside of work, Karen enjoys horse riding, running & Zumba. A Galway native who made an exciting career move from teaching to recruitment. Claire started her recruitment career in Dubai returning to Ireland in 2017. Her previous experience is in international technical recruitment. Claire successfully placed senior level candidates in a wide range of reputable organisations from small entrepreneurial ventures to internationally renowned consultancies. Outside of work Claire attempts to stay fit, considers herself a “foodie" and enjoys GAA & travelling. Simon holds a MSc degree from University College Dublin where he studied Biotechnology and Business. Prior to this, Simon completed a BSc (Hons) in Sport and Exercise Science from the UKs leading Sport Science institute, Liverpool John Moores University. At LJMU, His research group who investigated the cellular memory mechanisms surrounding skeletal muscle physiology and metabolism. He has worked with pharmaceutical start-ups as well as established companies on helping them achieve their deliverables from various commercial perspectives. Now, Simon is focusing on utilising his knowledge of the bioscience and bioengineering industries in supporting clients and candidates alike in their recruitment strategy. Kevin holds a Masters in Work & Organisational Psychology from the University of Gloucestershire. He has been connecting candidates and clients in the recruitment industry since 2015. Previous to recruitment, he supported continuous improvement drives within the Lean Sigma Department of a leading Medical Device Company in Galway. Libby holds a BSc (Hons) in Medicinal Chemistry and Chemical Biology from UCD. She has previous experience working in scientific recruitment. Libby works with clients across the Pharmaceutical and Biotechnology sectors. Using her technical background she can deliver the right candidate to our clients with her extensive technical knowledge of this industry.